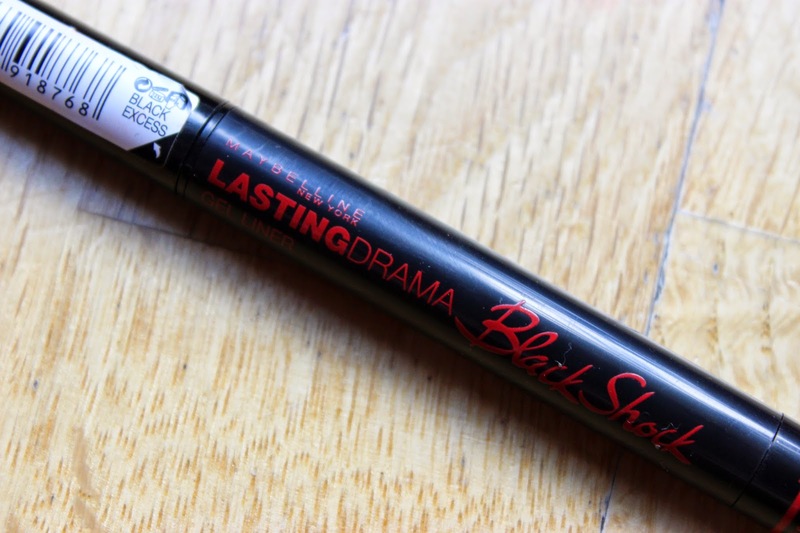 I’m not one to fall for fads but I have the biggest issue when it comes to applying eye liner, I just cannot do it properly, so when I heard about the Benefit Push Up Liner I thought my prayers had been answered…then came the reviews. I was not about to spend money on that, so when I heard Maybelline were releasing a dupe I thought why not? The reviews also bad but at least this was more affordable. 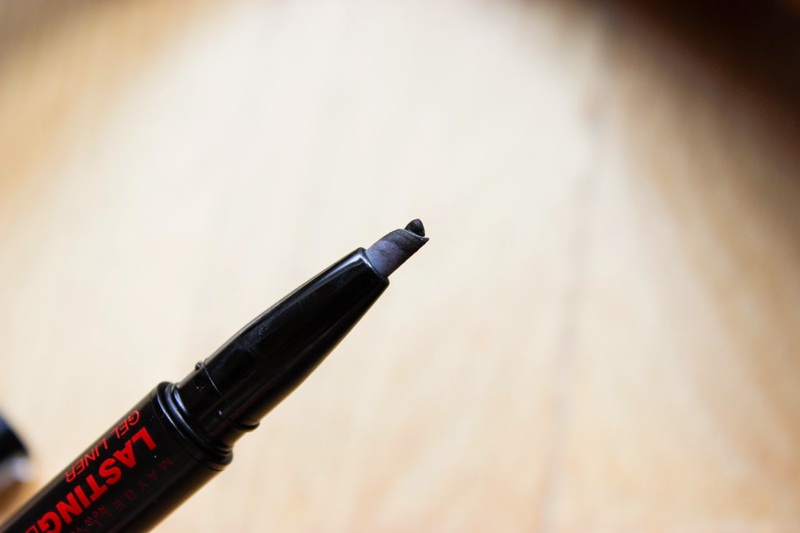 The idea with Black Shock is that the angled silicone applicator allows the product to glide smoothly across the lid, thus taking the hassle out of eyeliner application. Now this does take a while to get used to and the product itself is gel, not liquid, so gliding is not exactly the easiest but I found taking my time and short strokes really helped, then to smooth out the line a bit more I went in with my eyeliner brush. The one thing that impressed me was the damn longevity of this thing, Maybelline weren’t lying when they said “lasting”! YOU CANNOT GET THIS OFF!!! I was literally rubbing my eye off at the end of the day, finally I found help in my L’Oreal Skin Perfection 15 Second Miracle Cleansing Oil (I swear by this stuff for make up removal) this removed the eyeliner in a jiffy! This pen does not produce miracles, you will not be able to apply a perfect winged eyeliner in half a second with this pen, however what it will give you is a pigmented line and a winged eyeliner that will last ALL DAY and ALL NIGHT DAMNIT! If you were interested in the Push Up Liner but you don’t want to splash the cash, I don’t see why you should avoid this baby, Maybelline have done good in my eyes! I picked up my gel liner at Superdrug for £8.99. You look gorge as always. Can you please please please do a tutorial of this complete look? 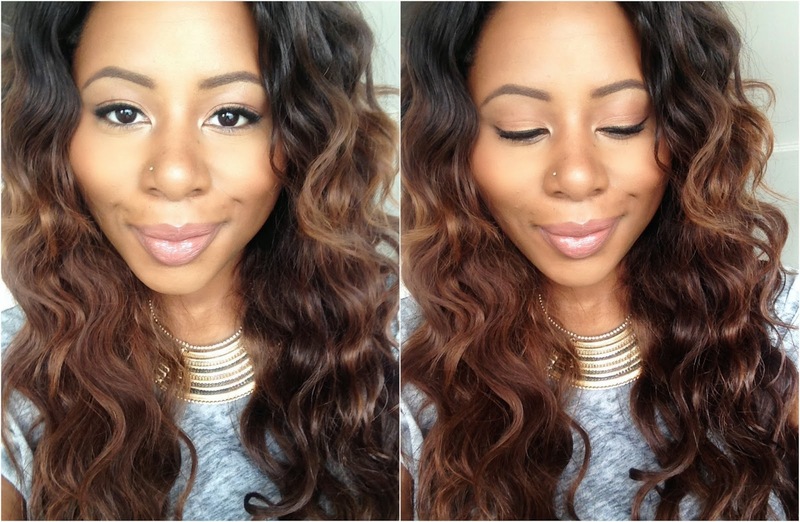 Seriously it's flawless & I soo need to steal this look! lol You're rocking the hair too!